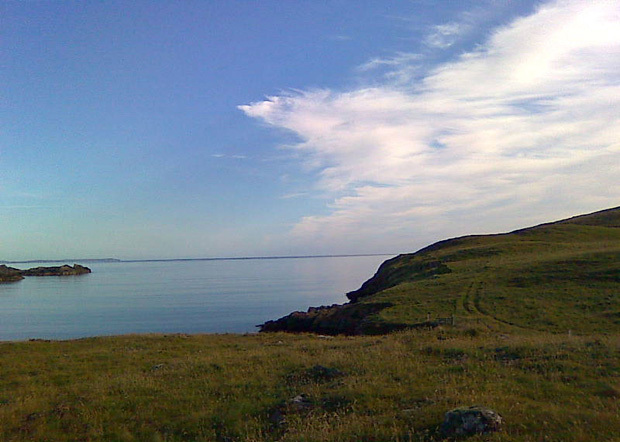 Out Skerries is a group of small islands 10 miles east of mainland Shetland. 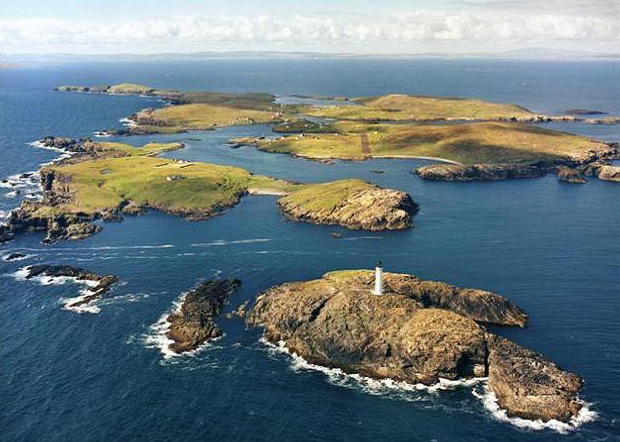 The islands are particularly scenic with a rugged coastline of cliffs, arches, blow holes, stacks, voes and beaches which offer plenty of hiking and walking opportunities. An ornithologist's paradise with year round interest ~ all kinds of sea birds, otters and seals can be seen from the shore. Nature in Shetland record latest bird sightings throughout Shetland along with links to other bird, entomology and sea mammal organisations. 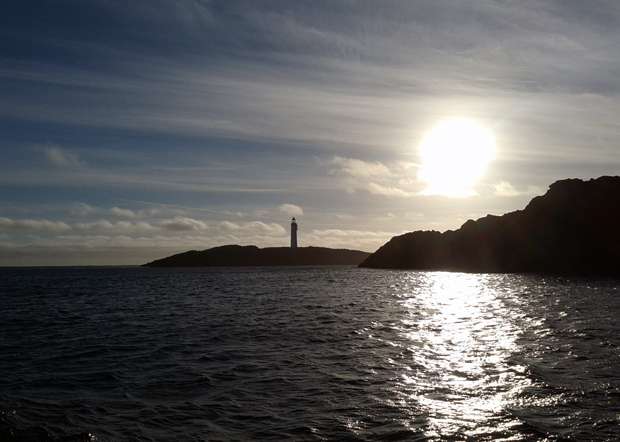 The principal economic activities on the islands are crofting, fishing and tourism. The largest islands are Bruray, Housay and Grunay which is currently uninhabited. The Ferry Terminal, Air Strip, Play Park and School are on Bruray while Housay is home to the Post Office, Public Hall and Kirk all of which are within walking distance. 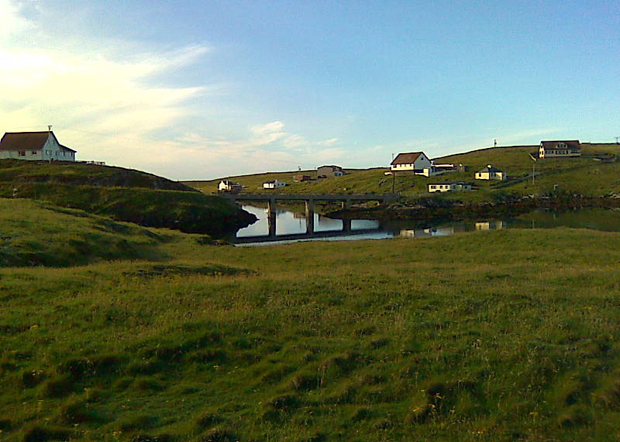 The population of around 70 people live on the islands of Bruray and Housay which are connected by a bridge and each of the isles has a shop. Visit our newest website Discover Out Skerries for What's on Skerries including Schoolhouse Cinema the smallest in Scotland! 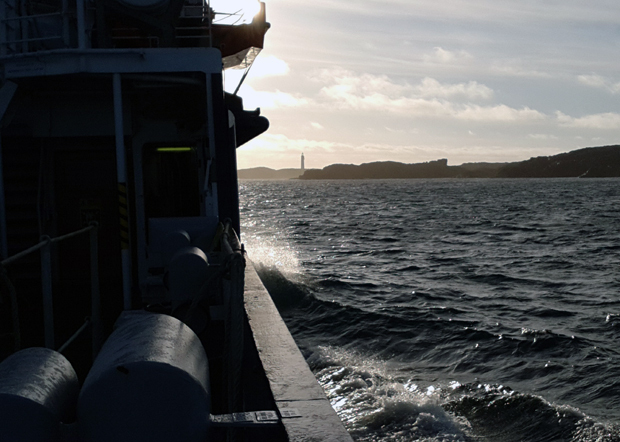 The first light was a temporary structure built on the island of Grunay in 1854 at the request of Her Majesty's Navy when their Northern Squadron was engaged in the Russian War. The light was first established on 15 September 1854. The permanent building was completed on the island of Bound Skerry in 1858. The tower is 98 feet high and the candlepower 159,000. During World War II the Lighthouse Buildings at the Shore Station were machine-gunned on 22 February 1941, fortunately on this occasion no one was injured. On Sunday 18 January 1942 at 11:45 a single enemy bomber approached the island from a westerly direction at low level and passed directly over the Lighthouse dwelling houses. One or two bombs were dropped, missed the buildings and fell into the sea. The raider made a wide circle to the east, returning over the Lighthouse Buildings and dropped another bomb which registered a direct hit on the Boatman's house. The house was completely demolished and the sole occupant at the time, the Boatman's mother, was buried beneath the debris, sustaining injuries from which she died at Lerwick on 20 January 1942. Other damage on this raid was as follows ~ Boatman's wash house and coal cellar demolished, dwelling houses of Lightkeepers and out-buildings etc completely destroyed or otherwise badly damaged. The flagpole was damaged and the framework of the base was also badly shaken.